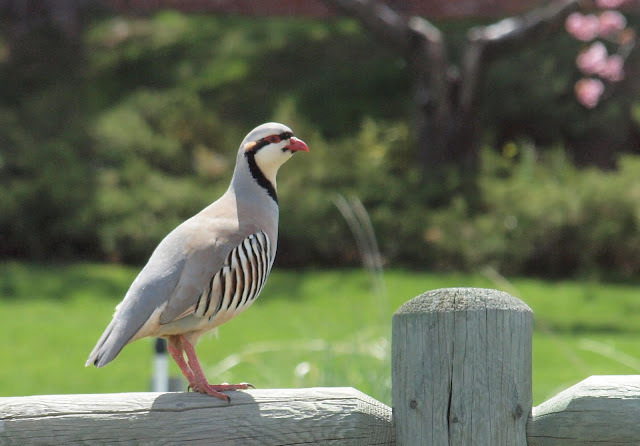 @Kelly - Chukar are pretty cool. Every once in awhile, folks will report them in town. I know that some hunters still raise and release them, so it isn't always easy to know if they are wild or not. Robert, I so miss seeing chukar! They look like clown-faced birds to me! I love them! BTW, you are not the only one who finds birds in or near parking lots! ;) Stop by to see what I mean! We have one hanging around our home.. here in Northern Indiana!